VCU Pearl Necklace with Sterling Silver Charm by M.LaHart & Co.
Gear up your school spirit with the gift of awesome NCAA and college products. 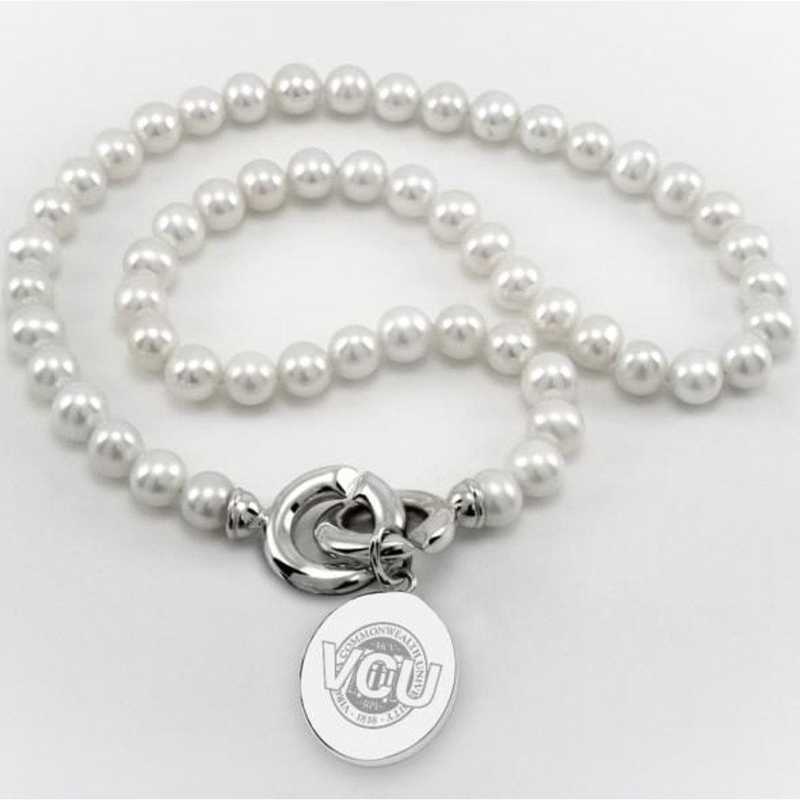 Virginia Commonwealth University pearl necklace and sterling silver VCU charm features the VCU shield finely detailed on front and interlocking "C" clasp., Pearl necklace measures 18" long; charm measures: .80" diameter., Freshwater cultured pearls (8mm). Finest grade .925 sterling silver., High-polish, rich luster finish., Attractive M.LaHart signature jewelry pouch and gift box., Combine with pewter trinket box, pearl bracelet, or other women's accessory for a unique gift set for your favorite new graduate or alumna. Officially licensed by Virginia Commonwealth University Manufacturer direct from a trusted supplier. You're reviewing:VCU Pearl Necklace with Sterling Silver Charm by M.LaHart & Co.